As you may know, I am a great fan of sewing with kids. I started my kids sewing (ie holding a needle!!) at around 2.5yrs – it really is never “too early”.. and it is all about using real equipment and working with them.. but I digress.. 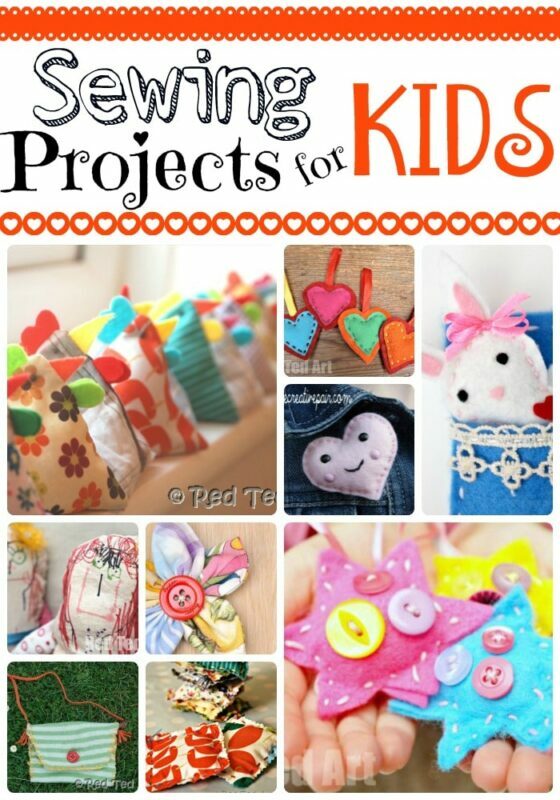 I have a great article on Teaching Kids To Sew, as well as Sewing Projects for Kids for you to check out!! 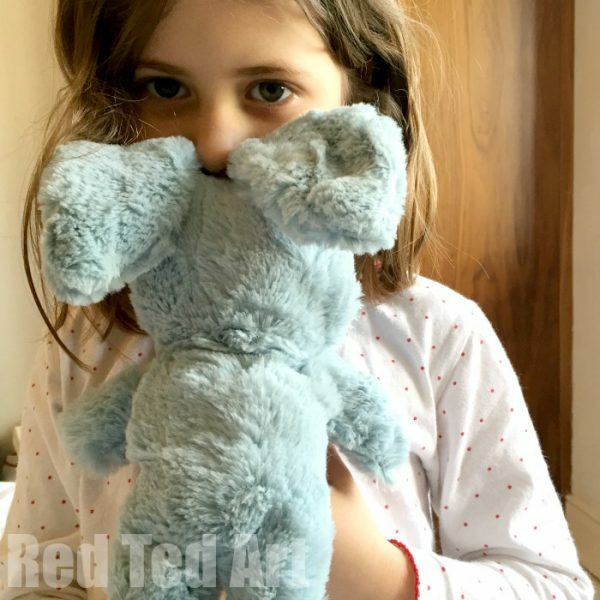 Today is all about Sewing a Softie with Kids and the “Sew a Softie Day” challenge. 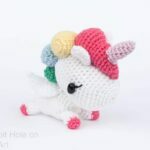 Sew a Softie day is a project started by Trixie Symonds (author of Sew Together Grow Together US/ UK), over on Coloured Buttons. Trixie is MASSIVELY passionate about getting our new generation of kids to sew. Not only to prevent it from becoming a “lost art”, but because most kids actually rather like it!!! 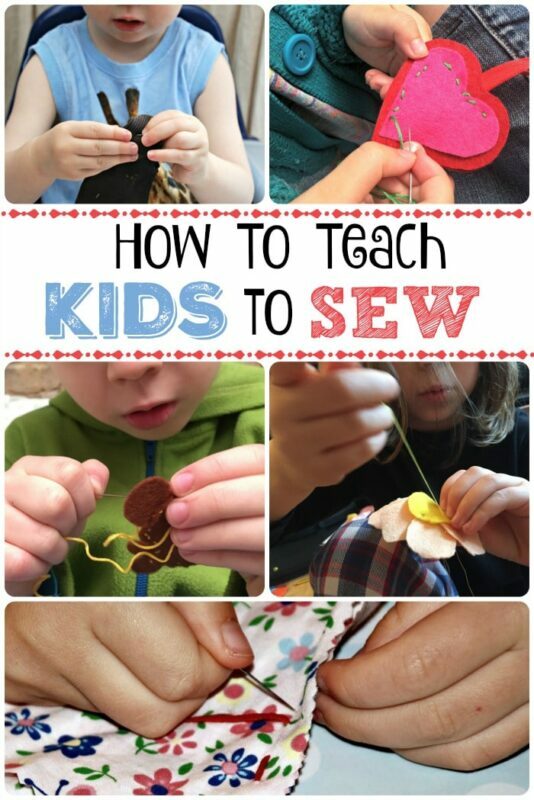 So if you have never really giving sewing with kids a go, take up the challenge with us now and GET SEWING!!!!! In our house, my kids love it so much that they often PESTER ME to make MORE. Yep. I can barely STOP them from sewing (not that I would want to). Sew.. our sew a softie project were some furry rabbits. Pip Squeak (6) had her eye on some furry fabric for AGES and was desperate to buy some and have a go. Now fluffy fabric CAN be a little harder to sew (certainly by machine), because it is quite bulky – so “tight corners” should be avoided. Having said that. 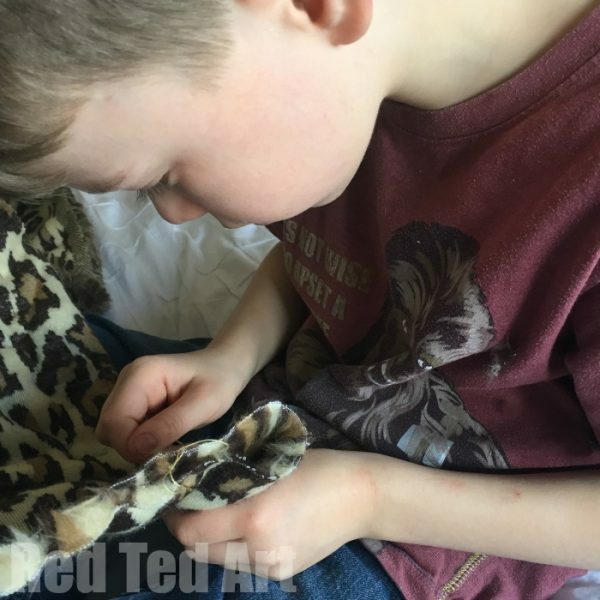 Once we pinned the project in a funny sort of way, my kids found sewing with it easier. As their “bigger and looser” stitches showed less! 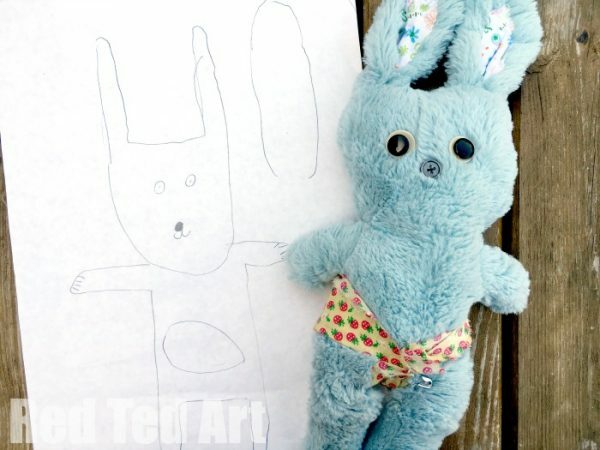 Pip Squeak drew her bunny. Pip Squeak got sewing. I sewing a lot of the “round bits” and “corners” for her, whilst she did all of the straight bits. Leaving a gap on the side of the bunny. Snip the fabric around the corners to allow for better turning. We then turned it inside out. We stuff our bunny with the stuffing from an old pillow – making this super economical. Remember – you do NOT need stuffing in the EARS. You want them floppy. I sewed the softie shut for her (she is only 6!) and I also finished off the ears for her – by adding some contrasting fabric (selected by her) and cut with pinking shears (to avoid fraying), sewing it onto the ear. I then “pinched” the bottom of the ear and sewed it, to give it some shape. 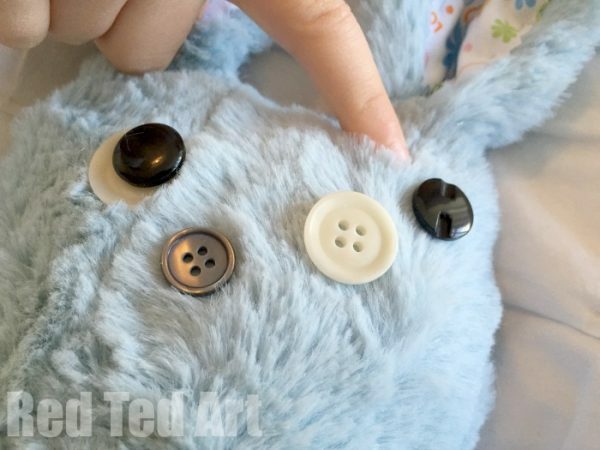 We then went through my button stash together to select eyes and nose – which I then sewed on for Pip Squeak. 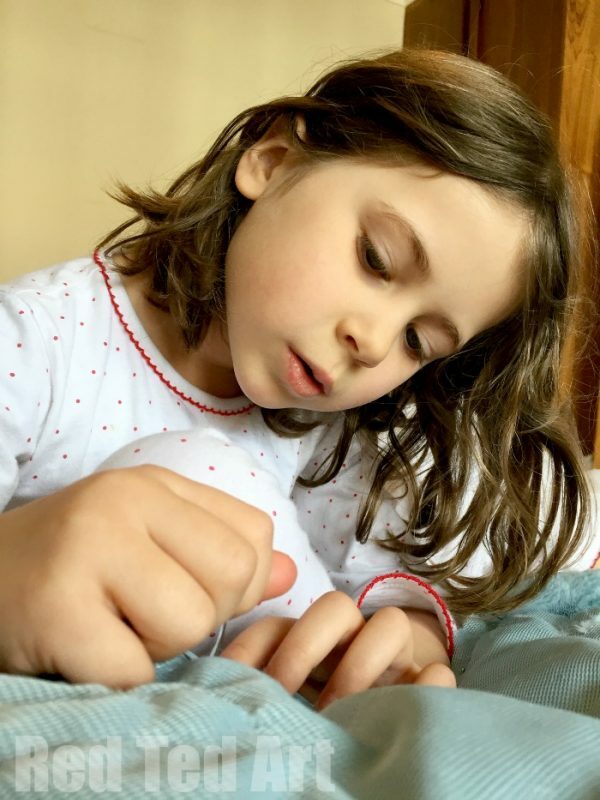 When her brother came home from a visit to a friends house, he was so impressed.. that HE decided to sew one of his own. 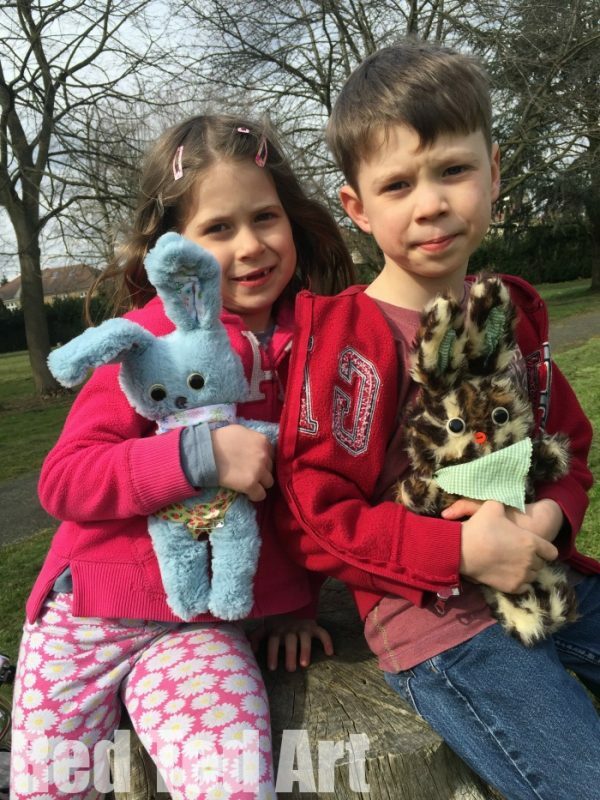 The kids added some triangular scarves (cut with pinking shears and knotted) and then took the diy softie bunnies out on an adventure. They were both SO SO SOOOO proud of their worked and enjoyed bringing them in for show and tell! 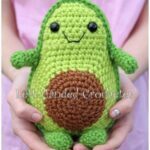 Now.. this is part of the Sew a Softie Day challenge. Hop over and explore what everyone else is making this month too! Check out this cute Monster Softie too. 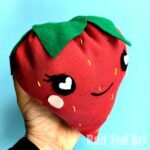 Remember, kids should ENJOY sewing and it is a crucial part of teaching kids to sew… so let the kids to as much or little as they wont, but keep them interested! 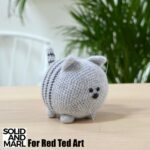 I do hope you join in with sew a softie day! 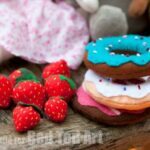 How to.. make felt donuts! 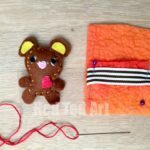 More felt food! 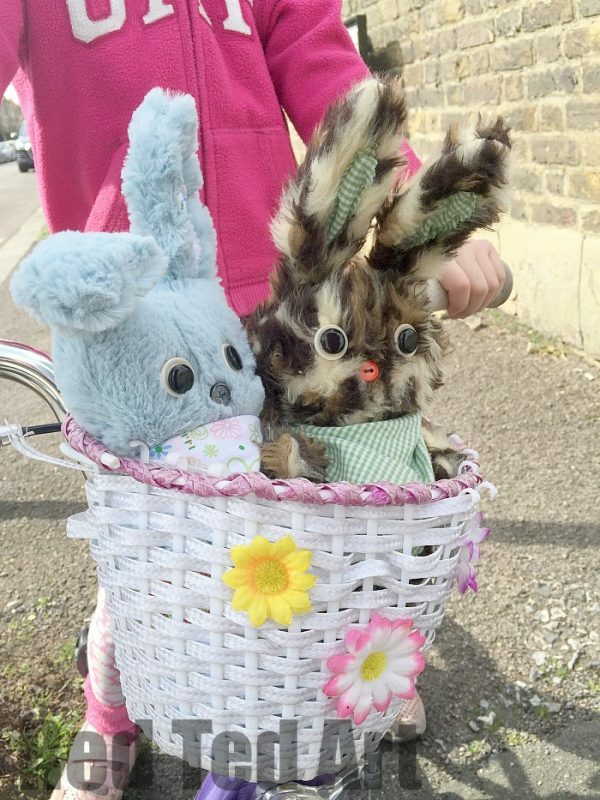 I love the photo of the bunnies in the bike! Your bunny softie looks so cuddly! I especially like the floppy ears! You’ve really brought the drawings to life! Im sure these will be treasured possessions for years to come. 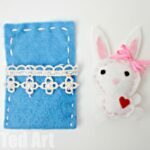 I came here for the sew-a-softie project and was glad to find both a cute bunny and a really great blog. So much inspiration and color! I’m sure to be back. 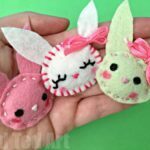 Those bunnies turned out adorable, totally inspiring me to sew with some plush fabric!